Finally the last week of 2015. 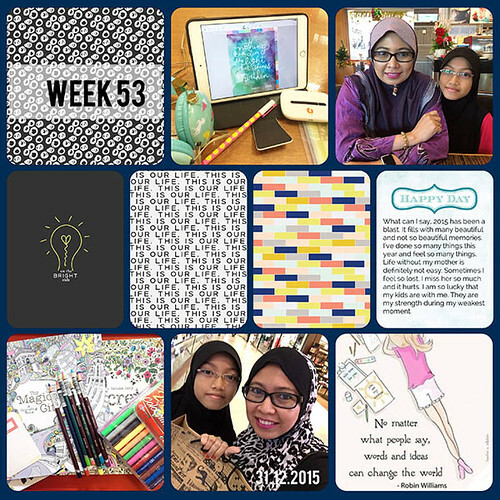 Week 53 has only four photos, so I decided to make just one layout for the week. I decided not to do Project 365 this year but I am still doing Project Life with photos of 2016.